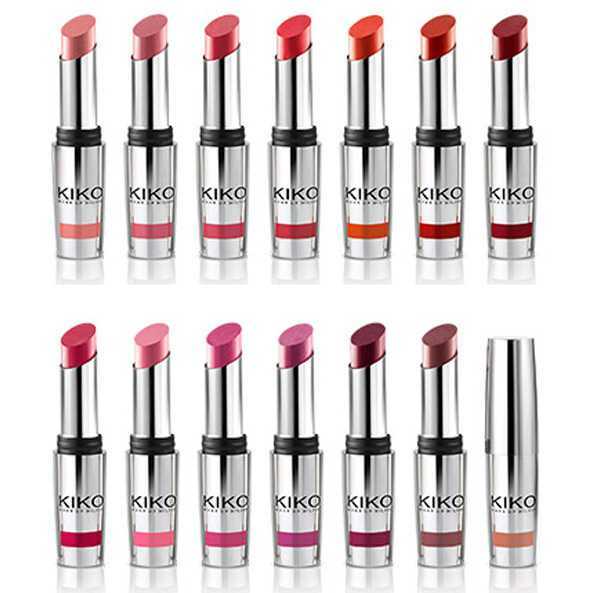 Intense color lipsticks long-lasting: here are the new Kiko Unlimited Stylo water-resistant lipsticks. 14 new shades of color are already available on the official website of the Milanese cosmetics company long-lasting stylus lipsticks from semi-matte finish , great seasonal trend. Kiko has tested these products that have proven themselves resistant up to 8 hours on the lips leaving them soft and smooth. If this concept of lipstick does not seem new to you, do not be wrong! Kiko has created this line certainly given the great success of the lipsticks of the same kind proposed in some limited editions. This product is hypoallergenic and free of parabens , available in 14 color variations from the most intense and gaudy to the most wearable ones: let’s discover them together! The wonderful model wears Red Cherry lipstick. Below you can see the elegant packaging of this new product Kiko for spring summer 2014 : a practical stylus with a mirrored package. In the front part there is one small colored band that allows to identify the color of the product. 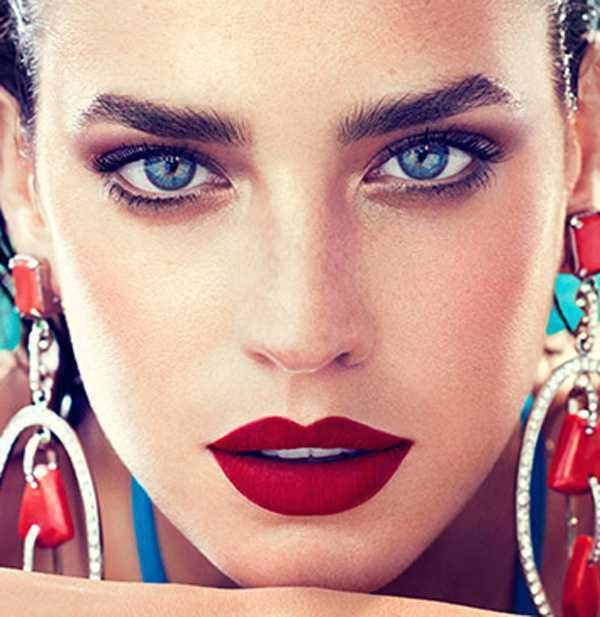 You have already tried these water-resistant lipsticks and very long lasting ? We are very curious to discover them, the colors look really beautiful! New face creams 2018: the best news to try! Foundation Shu Uemura Petal Skin Cushion, with extracts of petal!